"DrumRoom: Kicks" is all about creating kicks, so get ready to design your own samples in seconds, no matter what style you are into. Fits great for House/Techno/Deep-House/Tech-House/Minimal and more. This amazing product is a pure, digital imitation of real drum machine and it's super easy to use. "Drum Room" Kontkat Instrument is a sophisticated audio design tool, aimed at providing the end-user with the tools to design and use completely unique drum sounds. Any two of the included drum sounds can be mixed, re-pitched and manipulated using the included three-band EQ, Transient Designer, Compressor and two separate convolution effects. The convolution effects come with a wide range of reverbs and a number of special effects to tweak your drum sound. 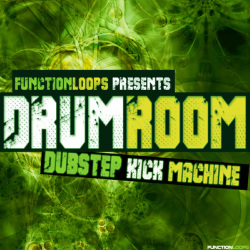 '"Drum Room: Dubstep Kicks" is a sophisticated audio design tool (for Kontakt), aimed at providing the end-user with the tools to design and use completely unique drum sounds. Any two of the included drum sounds can be mixed, re-pitched and manipulated using the included three-band EQ, Transient Designer, Compressor and two separate convolution effects. The convolution effects come with a wide range of reverbs and a number of special effects to tweak your drum sound. With "Drum Room" Kontakt instrument you can make unique kicks in seconds and the possibilities are endless. These drums will also rock in other productions such as Drum&Bass, Electro Rock, Trap and more. So pretend yourself a virtual drum machine - a pure kick creation tool. Dozens of pre-built presets are included, as well. 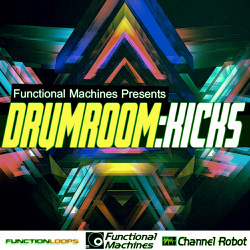 'Tech Vocals Grid' from Functional Machines is the second release of the killer combination from Channel Robot and Function Loops. Inside this outstanding product you will find 216 of the finest glitched vocal loops, collected from top-selling Function Loops sample packs and the unique Channel Robot Kontakt instrument, Grid Machine//Slice, this time V2.0!Grid Machine//Slice V2 provides all the functionality of Grid Machine//Slice. Cut, chop, stutter, reverse, mix, and more with the new features! 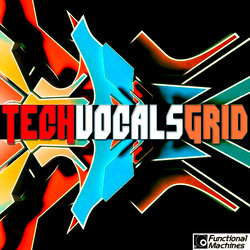 'Tech Vocals Grid' fits perfectly in House, Techno, Tech-House, Minimal, Trance, Dubstep, Glitch and beyond. So get ready to experiment with Functional Machines and get your own unique sound in seconds! 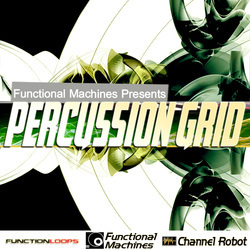 Welcome to the new collaboration between Function Loops and Channel Robot, - Functional Machines, pairing the ultra-loops of Function Loops with the unique Channel Robot Kontakt instrument - Grid Machine//Slice. Cut, Chop, Stutter, Reverse, Mix, Modulate and of course Slice the included ultra-usable loops with Grid Machine//Slice. A unique powerful new type of loop altering tool to bend, twist and re-create your loops all in real time. Featuring over 200 of the highest quality Function Loops' grooves every one of which can be re-programmed into hundreds of totally different sounding loops. With Functional Machines, sample libraries will never be the same again.